well love might be the wrong word. I didn’t sleep a lick last night worrying about whether I was prepared if the race went on, and whether the race would. With no text message when I woke, I checked FB to see all systems go and I… hit snooze. 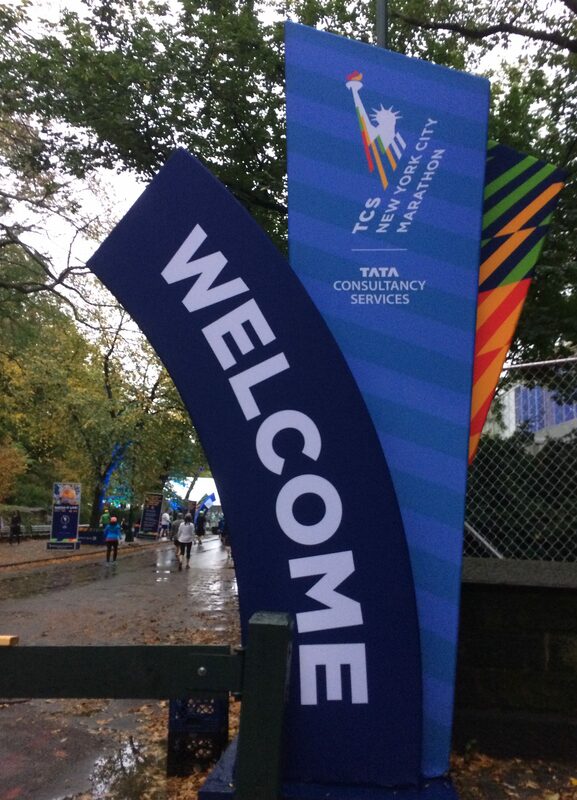 With the rain I knew I was going to Via to the start anyway, so I wasn’t in a huge rush. I also wasn’t in a rush to stand in the damp for the suggested 30-45m, so I was willing to wing it. 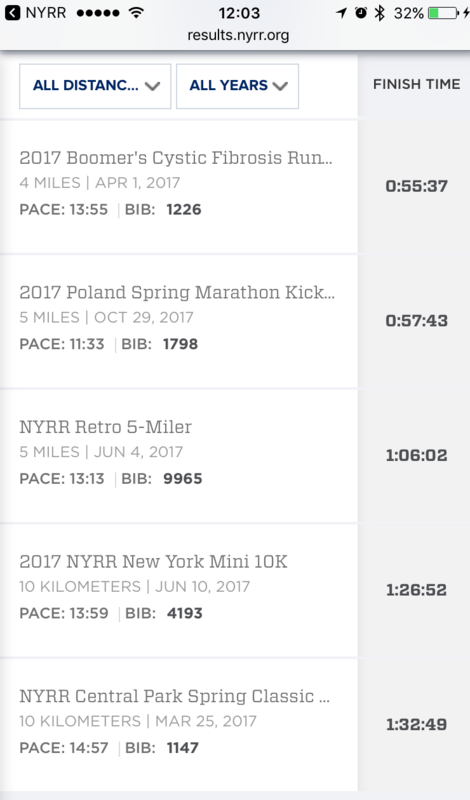 I was glad I had a second look at the race info last night because the course was slightly different to the prior 5 mile NYRR run I’d done. 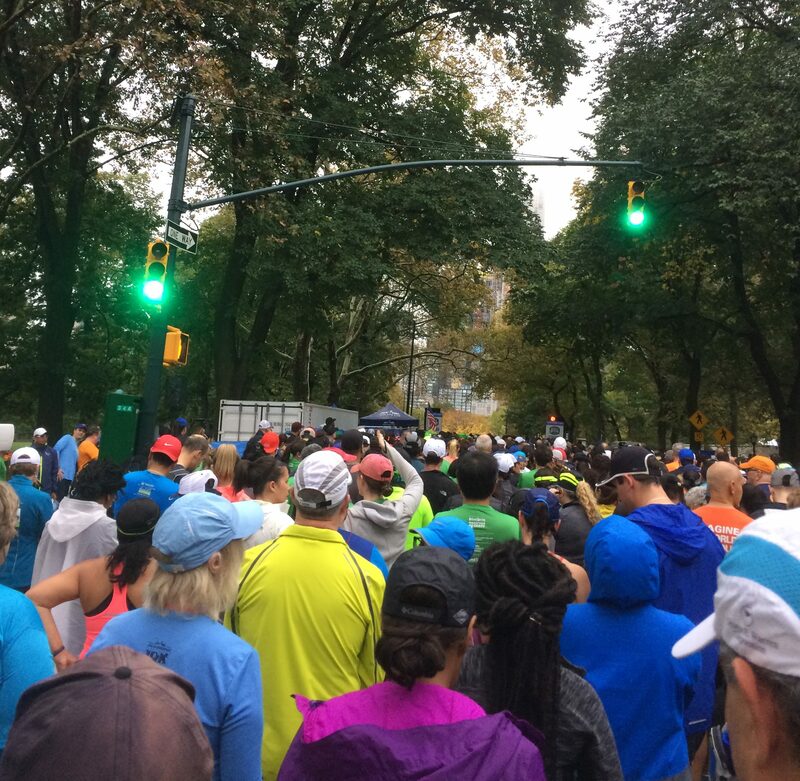 As a result, those of us toward the back crossed the finish before we crossed the start. I was amazed how quickly they put up the finish line once we were all off. While waiting for the opening ceremonies to wrap, I enjoyed the fussier than normal festivities due to marathon prep. 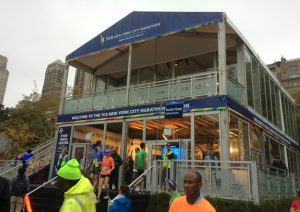 The pavilion is deceptively large and was a nice place to dry off after our miles were done. Luckily the rain held off while we were waiting. 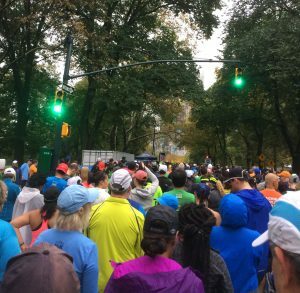 For a while it felt as if we’d never get to run, but we actually crossed the start faster than in the NYRR races earlier this summer. I was watching my footing due to the wet leaves, but it was also because I couldn’t obsess over the watch. With the rain on tap I decided not to wear my glasses and that was the perfect decision. No fog, no wet lenses, no glasses sliding all over. I admit, it’s a tempting decision going forward. Only possible issue was post-race coffee, but I really don’t need the menu to order at Starbucks. My pace felt good and steady throughout. 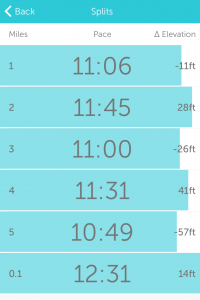 I felt that I got into a rhythm fairly quickly, which made sense once I saw my splits. 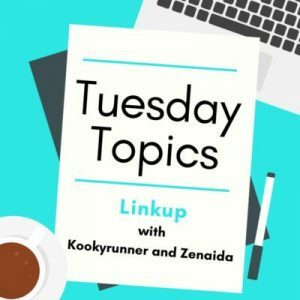 Mile 2? Combo of Cat Hill and taking my windbreaker off as I warmed up, plus some water station congestion as I stayed with the pack! Mile 4 is the rolling hills on the west side of the reservoir. 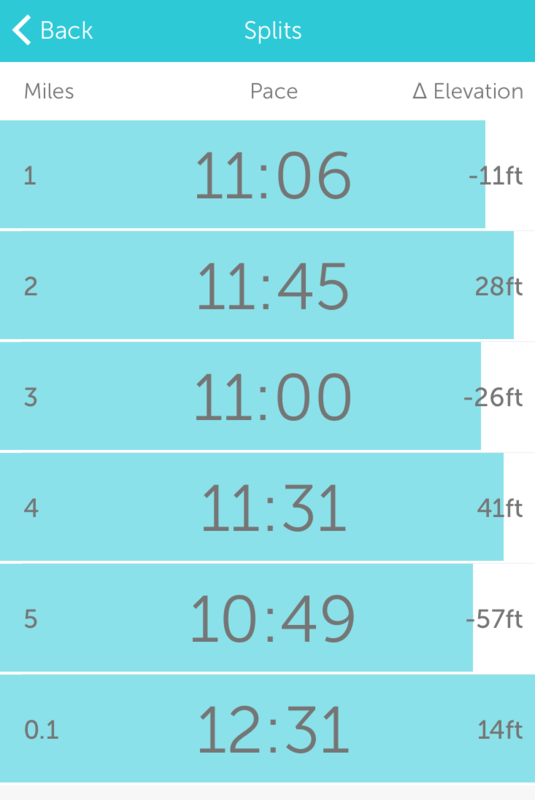 I’m impressed with that consistency int he wild and amazed that my last mile was the fastest, but it makes sense because I was feeling strong. I have no idea what that final .1 was. Probably fidding with the watch, so I’m not worrying. 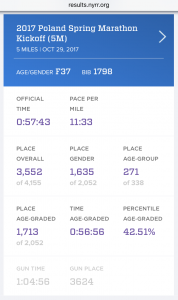 Really the only moment of concern was on the last water station – I carried a bottle but never opened it until post race – when I aimed for my mouth and got my nose instead. Whoops. I really need to learn to run or at least walk and drink. 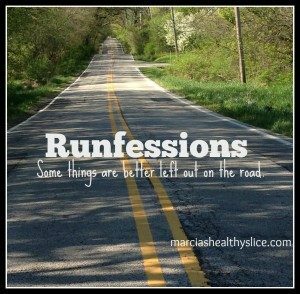 I felt as if I was darting around people a lot, but just like June I ran close to the prescribed distance (5.14 to June’s 5.13 miles). 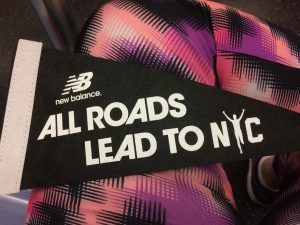 I seem to be better at that than I am when running 10K. At the second water station I was happy to see Thomas Panek and Gus who I’d read about earlier this week. I also saw them after the race and it looked like they had a good run. They were certainly having fun by Engineers’ Gate. Top 79% gender. That’s pretty cool. 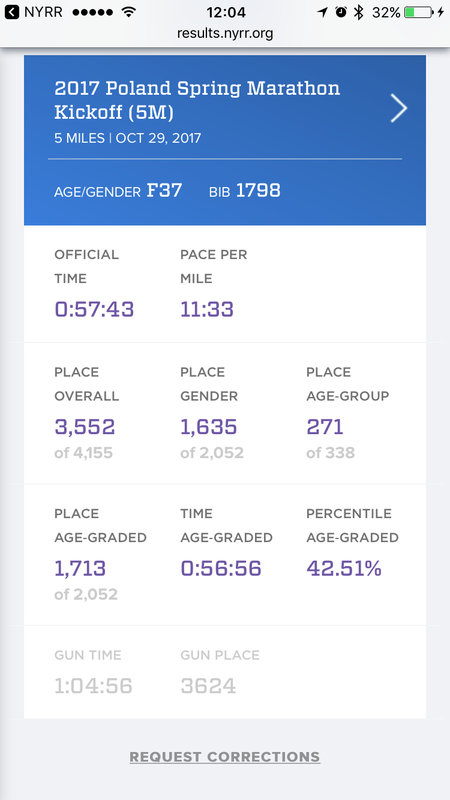 About same (top 80) as age group. 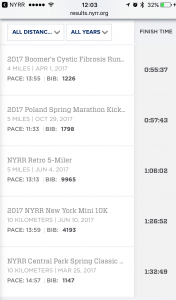 I really love NYRR’s data. Even if I don’t know how to interpret all of it. 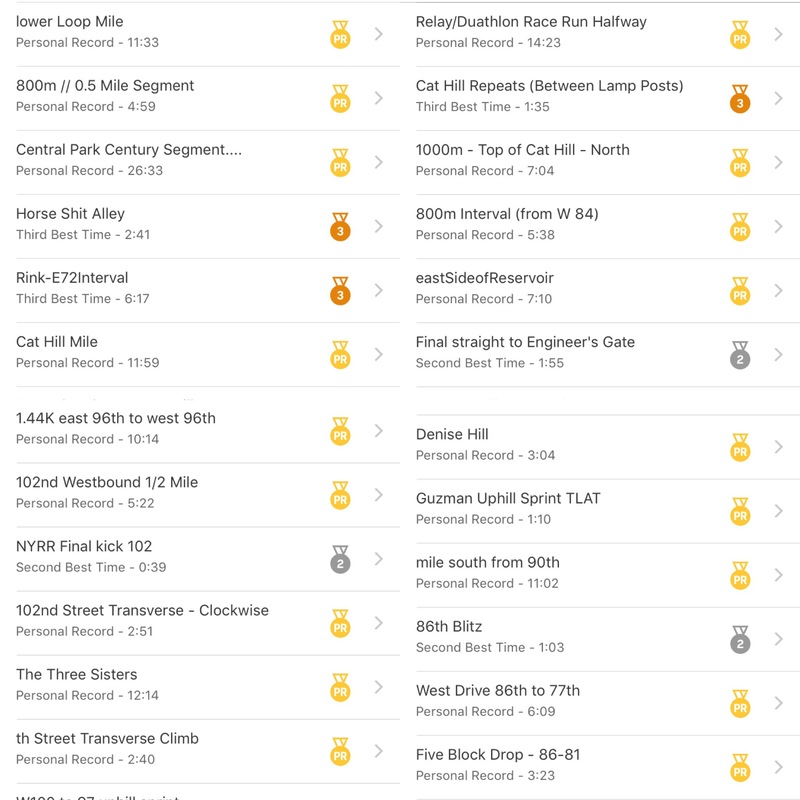 What I also am amazed by and appreciate is the progress I can see at a glance from NYRR and Strava. This doesn’t include the Retro, for some reason, but it was nice to see progress over time. 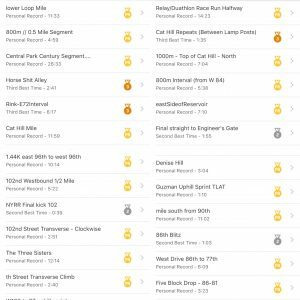 Strava also gave me a whole bunch of personal rankings, which really just told me that people name a lot of segments throughout the park. Last week was a good test but that time included some pause and stretch breaks as my hip was still not 100%. 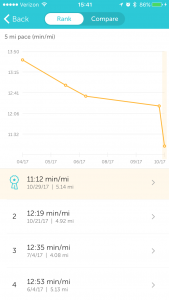 I thought it was a good indicator of what was possible and it’s where I pulled my goal time from. I really wanted to break one hour, and I was fairly sure it was doable. It is equal parts insane and awesome to realize that I finished five miles only slightly slower than I previously finished four. Much like my feeling at finishing that four, it was lovely to realize I was up and done for the day before I’m normally up on a Sunday. All said and done, it’s about an 8 minute PR over June and I definitely hit my goal of finishing strong and smiling. Yep! Can’t lose me in a rain storm. This love of pink is new, and while I was sad not to be able to wear Boo (although I am as I write this), I’m happy with my outfit. The windbreaker was great for post race walking around and wasn’t too warm to run the first mile in. I didn’t bother trying to tie it and just carried it as I ran. 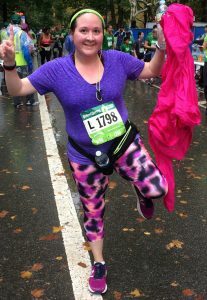 I forgot my dry socks but covering my feet in knock off glide worked a charm as no blisters despite feeling a hot spot. I met up with a friend who I met fifteen years who and we spent some time in the Pavilion before heading to the Run Center to pick up his stuff for next weekend’s 5K and then Starbucks. 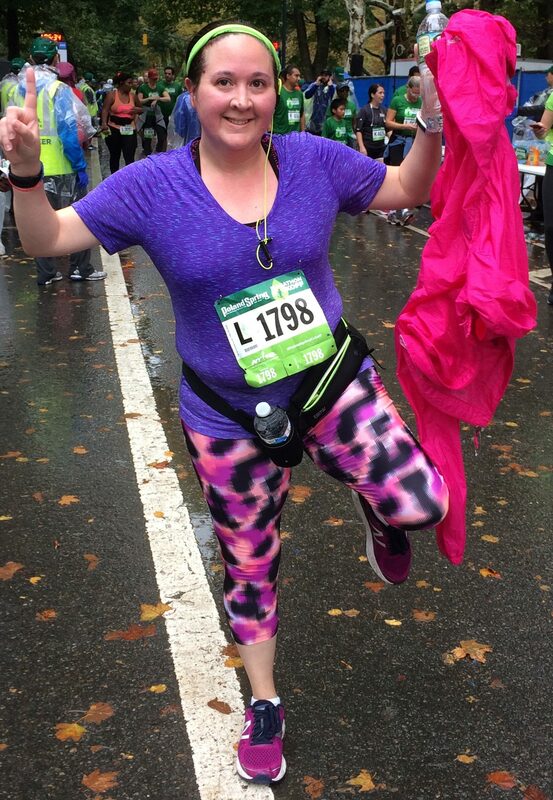 It was so wonderful not to feel completely trashed after this race. Had the monsoon not picked up, I probably would have even walked home. 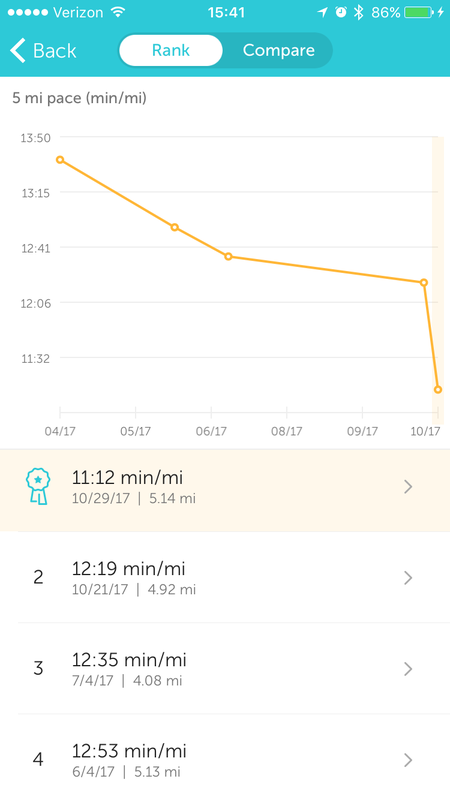 As a result, my steps on the day are low, but I’ll take it. Wow, well done, that’s some amazing splits and more importantly a) you enjoyed it and b) you were fine afterwards. Go you!